A remote population of frizzy-haired orangutans on the Indonesian island of Sumatra seems to be a new species of primate, scientists say. A study published Thursday in the journal Current Biology said there are no more than 800 of the primates, which researchers named Pongo tapanuliensis, making it the most endangered great ape species. The researchers say the population is highly vulnerable and its habitat is facing further pressure from development. "If steps are not taken quickly to reduce current and future threats to conserve every last remaining bit of forest we may see the discovery and extinction of a great ape species within our lifetime," they said. It's the first great ape species to be described by scientists in nearly 90 years. Previously, science has recognized six great ape species: Sumatran and Bornean orangutans, eastern and western gorillas, chimpanzees and bonobos. Some scientists also classify humans as great apes but others argue for a separate categorization. The research is based on analysis of the skeleton of an adult male killed in a conflict with villagers, a genetic study indicating the population's evolutionary split from other orangutans occurred about 3.4 million years ago, and analysis since 2006 of behavioral and habitat differences. The primates are confined to a range of about 1,100 square kilometers (425 square miles) in the Batang Toru forest in the Tapanuli districts of Northern Sumatra. Historically, the population had low levels of interbreeding with Sumatran orangutans further north but that completely ceased 10,000 to 20,000 years ago, according to the genetic study. Aside from genetic evidence and the physical differences that include frizzier hair and a smaller head, other unique characteristics include diet, restriction of habitat to upland areas and the male's long call. There is no standardized international system for recognition of new species, but to be taken seriously a discovery requires at least publication in a credible peer-reviewed scientific journal. Primatologist Russell Mittermeier, head of the primate specialist group at the International Union for the Conservation of Nature, called the finding a "remarkable discovery" that puts the onus on the Indonesian government to ensure the species survives. Mittermeier, who was not one of the 37 authors of the study, said he was "very excited" by the research. Last year, the IUCN classified Bornean orangutans as critically endangered due to a precipitous population decline caused by destruction of their forest habitat for palm oil and pulp wood plantations. Sumatran orangutans have been classified as critically endangered since 2008. 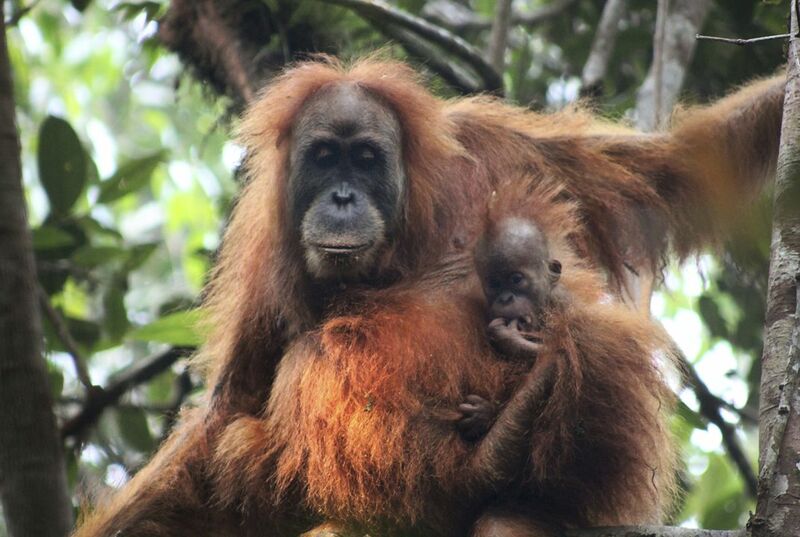 Matthew Nowak, one of the study's authors, said the Tapanuli orangutans live in three pockets of forest that are separated by non-protected areas. Additionally, the authors are recommending that development plans for the region including a hydropower plant be stopped by the government. 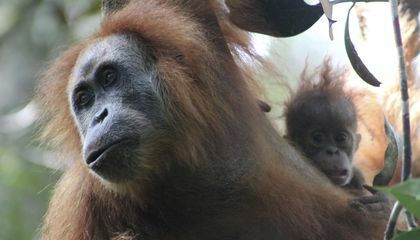 The Batang Toru orangutan population was found during a field survey by researcher Erik Meijaard in 1997 and a research station was established in the area in 2006. It was not until 2013, when the adult male skeleton became available, that scientists realized how unique the population was, which sparked the largest genomic study of wild orangutans ever carried out to provide further evidence of a third orangutan species.